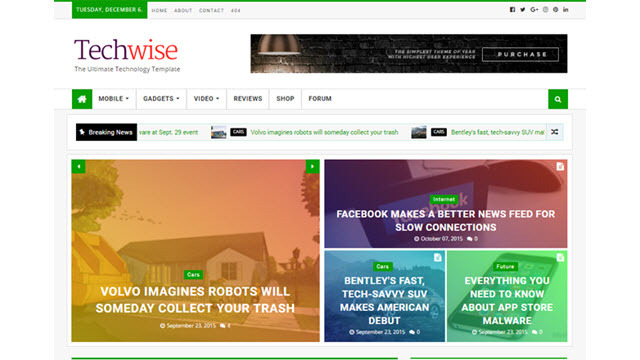 Description: Techwise Magazine Blogger Templates is responsive magazine blogger template for tech niche blogs. it has a clean but stylish looking magazine layout with built in label based content featured widgets to publish your important posts. Techwise is highly customizable and has various types of layout, whether you want a clean, blog with slider or a full magazine template, you can make your very own design. Build your blog about technology,games, travel destinations, films, blogger magazines, technology etc.